San Diego I-130 Family Immigration Petitions Lawyer by Habib Hasbini, Attorney at Law. Not exactly. In fact, Form I-130 is really only one half of the process in securing permanent residence for a relative. 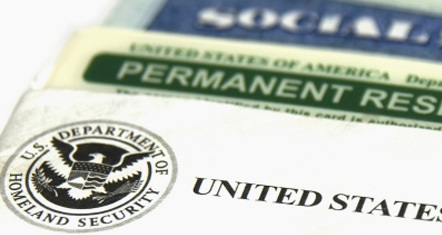 Applying for permanent residence requires two main steps: 1) a U.S. citizen or lawful permanent resident files an immigrant visa petition, using Form I-130, on behalf of a relative who has one of the qualifying relationships to the petitioner under the law; and 2) if that I-130 petition is approved and a visa number has become available (there’s a wait in some categories), the qualifying relative (the ?beneficiary?) applies for permanent residence either at a U.S. consulate or through a process called ?Adjustment of Status? if they’re already in the U.S. If you are a U.S. citizen, the usual documents to show are a copy of your valid U.S. passport, a copy of your government-issued birth certificate, or a copy of your naturalization certificate. However, many U.S. citizens do not have a valid passport or even a birth certificate. Immigration officials will accept what is called ?secondary evidence? in this situation. You will need to contact the Department of Health in the U.S. state or territory where you were born and request a ?Letter of No Record? (to show no birth certificate was created) along with early birth documents, such as a baptismal certificate, a hospital birth certificate, census records, early school records, family bible records, or sworn affidavits from persons having knowledge of your U.S. birth. parents, thus making you siblings. Break through language barriers. ?Assume that U.S.
immigration officials cannot understand any language other than English. translations of documents from a wide number of companies in the U.S.
p>Part of a sponsor?s responsibilities include a promise to the U.S.
liable for providing financial support.